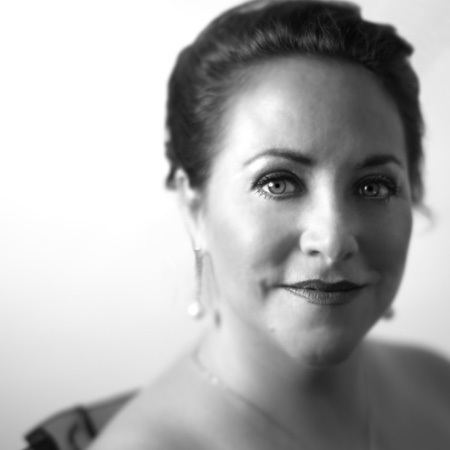 Lori Phillips, who sang Brünnhilde at Seattle Opera’s August 7, 2013 performance of Siegfried, will sing Brünnhilde at tonight's performance of Götterdämmerung. Alwyn Mellor continues to recover from the indisposition that affected her on Wednesday. Ms. Mellor is scheduled to sing Cycles #2 and #3. Phillips made her Seattle Opera debut as Gerhilde in Die Walküre in 2001, and she returned to the company as Amelia in Un ballo in maschera and most recently in the title role of Turandot. Last season, Ms. Phillips made her role debut as Aida at Hawaii Opera Theatre, and she sang Santuzza in Cavalleria rusticana at Arizona Opera, a role she has also performed at Vancouver Opera and at Opéra de Québec, and the title role of Turandot with Opera Lyra Ottawa and Portland Opera. She has also performed Turandot at Atlanta Opera, New York City Opera, and in concert selections at Alice Tully Hall and at Tokyo’s International Forum. In 2011, she sang Lenore in Fidelio for Portland Opera. In 2010, Ms. Phillips debuted at the Metropolitan Opera as Senta in Der Fliegende Holländer, a role she has also performed at Washington National Opera, Hawaii Opera Theatre, Syracuse Opera, and Sarasota Opera. Also that year, Ms. Phillips made her role debut as Brünnhilde in Die Walküre with Hawaii Opera Theater and Maddalena in Andrea Chénier at Nashville Opera. She has also sung the roles of Madama Butterfly at New York City Opera and Utah Opera, Lady Macbeth at Arizona Opera, Ariadne in Ariadne auf Naxos at Vancouver Opera, Minnie in La fanciulla del West at Utah Opera, and Leonora in Il trovatore at Florentine Opera. The soprano made her U.K. debut as Elisabetta in Don Carlos at Opera North. This year she will perform Senta in Der Fliegende Holländer with Michigan Opera Theater and Arizona Opera and is featured on a new Naxos recording of Darius Milhaud’s Oresteia of Aeschylus as Clytemnestre and the Spectre de Clytemnestre, performed by the University of Michigan Musical Society. Other recordings include Ariane in Ariane et Barbe-Bleue with the BBC Symphony Orchestra (Telarc), Dallapiccola’s Volo di Notte with the American Symphony Orchestra, and Beethoven’s Missa Solemnis with the Nashville Symphony (Naxos).